December 15, 2018: One Hundred Thousand Some-Things has been selected as one of Kirkus Reviews' Best Indie Books of 2018! Story Time with Miss Best! Check out this fantastic reading of One Hundred Thousand Some-Things from Story Time with Miss Best! Subscribe to her YouTube channel or follow on Instagram @miss.best.storytime for some other great reads! April 1, 2018: The One Hundred Thousand Some-Things review was selected as 1 of the 39 indie reviews to be published in Kirkus Reviews (VOL. LXXXVI, NO. 7) and highlighted for earning a Kirkus Star. February 11, 2018: "An Oakbank man has made his first foray into children’s literature with the release of a work that blends his unique illustration style with a lifelong love of storytelling." Written by Jordan Ross. You can read it here! February 1, 2018: "A Springfield father has turned a bedtime story for his sons into a book for children everywhere to read and enjoy. 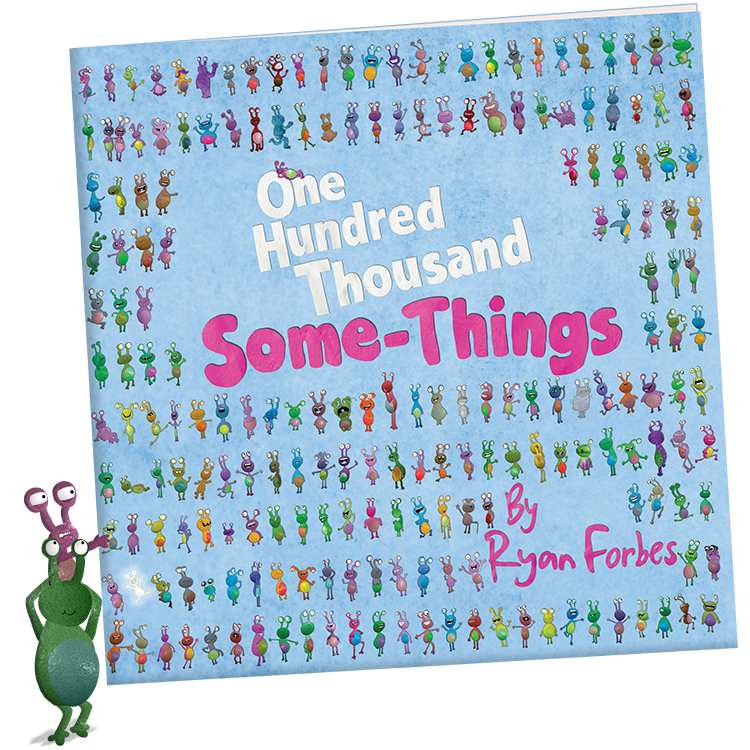 One Hundred Thousand Some-Things is a children’s book written and illustrated by Ryan Forbes. Living in Oakbank most of his life, Forbes said he had a passion for drawing, writing and storytelling at an early age. Busy with life things, he rediscovered this passion when he started reading to son James. He started to make up stories and some were requested over and over again and added to each time. One Hundred Thousand Some-Things was one of those stories." Written by Cathy Juskow.